Facing a Data Tsunami Your NAS Can’t Handle? Managing continually growing amounts of unstructured data can be overwhelming for even the best IT teams. Reduce secondary data capacity and cost burdens by eliminating siloed NAS systems. Simplify the storage and management of data originating from multiple sources--from file shares and large media that require random reads to backup and archive workloads that need sequential writes. With unstructured data growing at unprecedented rates, now is the time to empower your enterprise with a modern, scale-out solution for secondary workloads. Cohesity eliminates storage silos, reduces costs, and radically simplifies unstructured data management by consolidating all secondary workloads on a single, web-scale platform that spans from your core to the cloud and edge. The hyperconverged solution lets IT teams manage backup and archive, files and objects, test and develop, and analytics workloads together. With Cohesity DataPlatform, seamlessly read and/or write to the same data volume with simultaneous multiprotocol access for NFS, SMB, and S3. Simplify file and object storage in the data center and cloud with Cohesity. 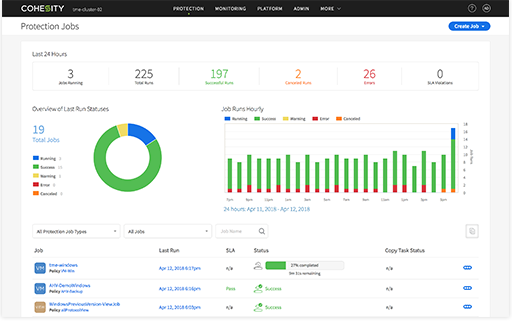 Easily put unstructructed workloads including backups, archives, file shares, logs, media files, test/dev and analytics to work for your business. Remove NAS silos and improve IT efficiency while lowering costs. Simplify management with Cohesity’s secondary data solution. It delivers seamless file and object management from your core to the cloud and edge. Address rapidly growing unstructured data with Cohesity’s software-defined solution. It scales limitlessly, seamlessly, and cost efficiently without requiring forklift updates. Instantly provision zero-cost clones and run test/dev environments at scale to accelerate application development with Cohesity. It eliminates unnecessary data copies and data center hardware. Cohesity DataPlatform simultaneously consolidates secondary data management and modernizes your enterprise infrastructure. Replace costly NAS storage silos for far more efficient use of increasing amounts of unstructured data. Manage all your secondary data on a single web-scale platform that reduces your data center footprint by eliminating unnecessary hardware silos. Seamlessly read and/or write to the same data volume with simultaneous multi-protocol access for NFS, SMB and S3. Maximize efficiency using one data management solution to span from your data center to edge to any cloud. Rely on powerful analytics capabilities to quickly search and meet your compliance and regulatory requirements. Cohesity delivers scale-out file and object storage in a limitless, pay-as-you-grow model to address your data growth. No more comprehensive updates. Cohesity provides strict consistency at scale, guaranteeing users always see the most current data, and data is protected as soon as it’s written. Avoid “file-not-found” errors while gaining resiliency at scale. Cohesity uniquely dedupes across the cluster, including all workloads, and protocols. Global, inline variable-length block deduplication optimizes capacity efficiency and dramatically reduces your data center footprint. Compress your cold or streaming data and free more storage capacity. Choose automated global indexing powering Google-like search. This enables instant wildcard searches for any virtual machine file or object ingested into the system. The index is fully distributed across the entire cluster and is served from the cluster’s flash memory, ensuring extremely fast access to the data in the index collections. Cohesity makes your secondary data environment elastic, so you can address changing business requirements instantly. Enjoy the simplest path to the cloud through a secondary data management platform that supports integration with all leading public clouds. Easily extend to Amazon Web Services (AWS), Microsoft Azure, and Google Cloud without installing or managing cloud gateways. Move your data seamlessly to the cloud and even access it within the cloud. Unlike traditional NAS solutions, no need to bring the data back on-prem to access it. Get an enterprise-grade approach to the backup of cloud workloads by integrating with public cloud snapshot APIs, which brings a new level of automation to the backup and recovery process in the cloud. 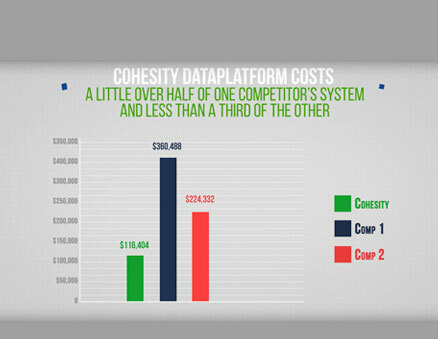 Cohesity makes unstructured data more productive. Accelerate application delivery while gaining valuable insights into the data you have. 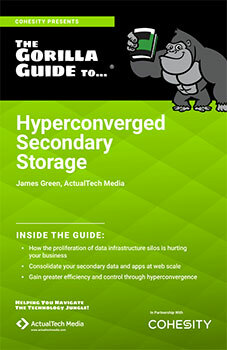 Eliminate data copying from storage silos. Instantly provision zero-cost clones, even to the cloud, so application developers can quickly be as productive as possible. Gain greater insight into your data with in-place analytics for all of your unstructured secondary data. By 2022, more than 40% of enterprise data will be stored in scale-out storage systems in enterprise and cloud data centers, up from 30% today.